A section of the Custis Trail running alongside I-66 near Rosslyn is set to close for the next month. Starting today (Monday), workers will start repairing the trail as it runs between N. Adams Street and McCoy Park to make it a bit more hospitable to cyclists. Construction is set to last through Aug. 24. 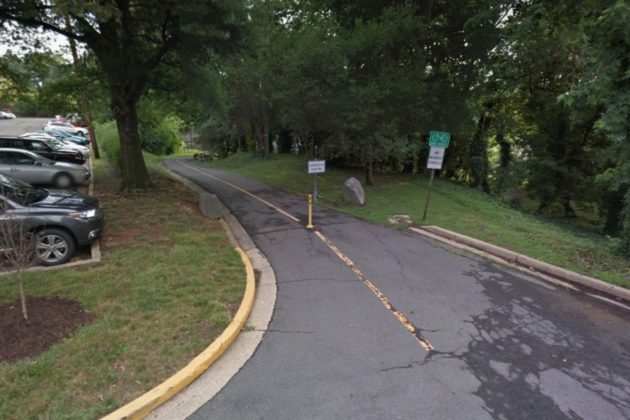 Specifically, Arlington’s Department of Parks and Recreation and its contractors will focus on “a series of bumps, or undulations, on the trail surface near the pedestrian flyover bridge over I-66,” according to a blog post by Bike Arlington program manager Erin Potter. “This part of the Custis Trail is too narrow (between a retaining wall and I-66) to allow repair work to happen while the trail is open,” Potter wrote. The county plans to post signs for detours for both pedestrians and cyclists near the closed section of the trail. 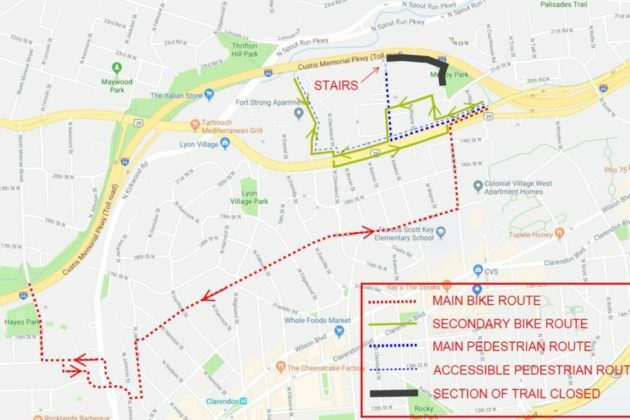 Walkers and runners will be redirected down N. Adams Street and then along Lee Highway to bypass the construction, while bicyclists have their choice of three different options. Bike Arlington has full details on the detours posted on its website. The Custis Trail was open this morning, but the N Adams-McCoy Park closure will start soon.